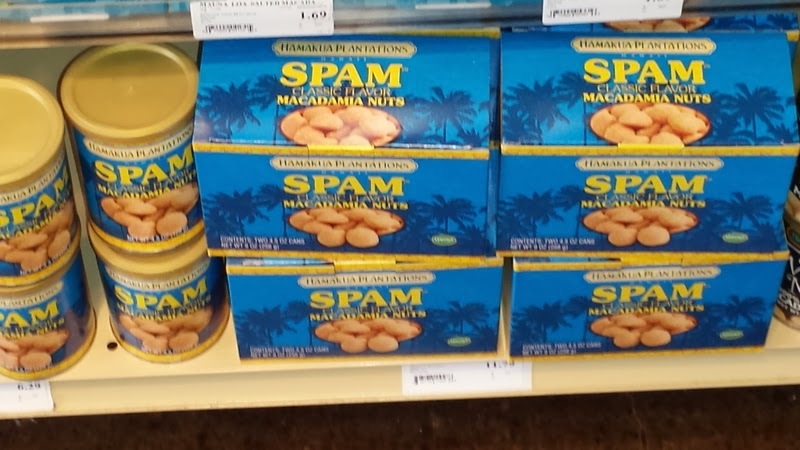 For those who don't know, SPAM is a thing here in Hawaii. And I had not partaken in the thing. I found these SPAM flavored mac nuts at the store and knew that my sister would love them. She who seeks out the crazy flavors of Pringles and Oreos, will do a happy dance when these come in the mail. So I got one for her and one for me. For me to share. I brought them to work and shared them with three local co-workers. They were good sports. They each tried one. And their consensus? SPAM belongs on rice. SPAM belongs on eggs. SPAM belongs on cabbage. It does not belong on mac nuts. 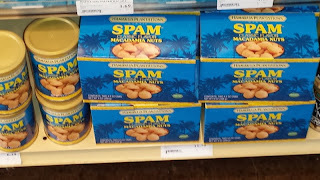 And that these nuts had been my only exposure to SPAM? An injustice that was not going to continue. I was promised a musubi. Musubi is a traditional Hawaiian snack involving SPAM. Not just involving. Featuring. Celebrating. 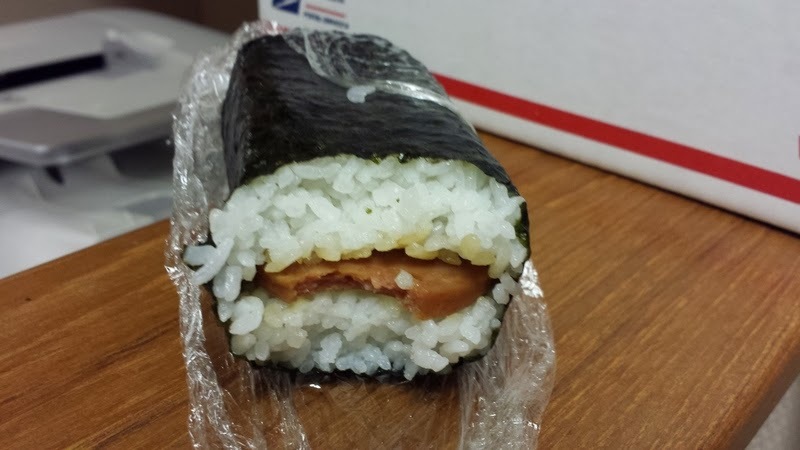 I don't know if there can be a musubi with SPAM. What is musubi? Look at this picture and guess the three main ingredients. What do you think? Have you tried musubi? Would you try it? As for me....I will definitely have it again. Who knows what my next Story of Spam will be?